Tata Motors has had a tough year so far in the A3 segment of the car market. Sales have dropped 30 per cent until September. Its market share has shrunk. Rivals like Maruti Suzuki with the Dzire and Ford with the Ikon and Fiesta have shown growth. For Tata Motors President (passenger cars business unit) Rajeev Dubey this should be a sign of worry, but it isn't. "The market was anticipating the new Indigo since the start of the year and that meant we lost some volumes. Yet, we averaged about 3,000 units a month in a market that has only shown single-digit growth this year," he says. And he's hinging his bets on the new Indigo Manza to steer things around. Manza, after all, is Italian for steer. For one, the car is priced aggressively. The base variant carried a price tag of Rs 4,80,000, ex-showroom, Delhi. This is cheaper than some rivals including the Ford Ikon, Hyundai Accent and Maruti Suzuki Swift Dzire. The last-named is the clear market leader in its segment. It averages over 6,000 units every month. Buyers for some models need to wait for three or four months before the car is delivered. 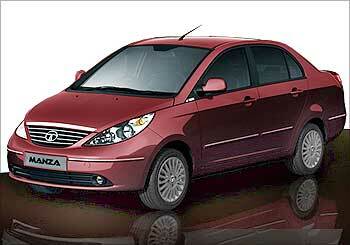 The Manza is being offered with four variants in two engine options -- petrol and diesel. Both these engines are the same as those inside partner Fiat's Linea sedan. With the engines manufactured at the joint venture plant at Ranjangaon, the company hopes to reap the benefits of scaled-up production and pass these on to its customers. 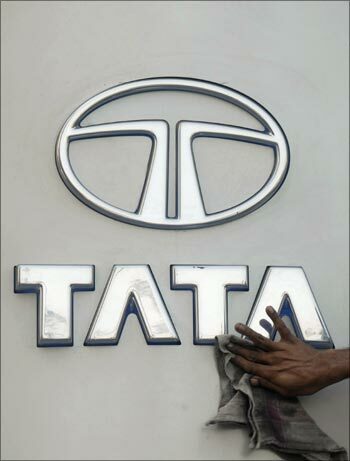 Image: A worker cleans a Tata Motors logo. 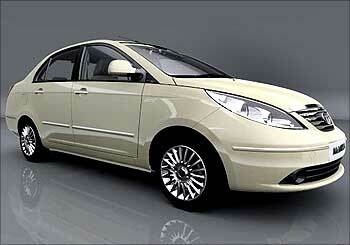 Like the Linea, the Manza too has features that are normally the reserve of more premium cars. The top variants of the Manza sport twin airbags, ABS and a Bluetooth-enabled music system called Blue5. The same features are also available on the Linea, which is priced Rs 100,000 more than the Manza. Considering both the cars are sold under the same roof, wouldn't it affect the chances of the Linea? 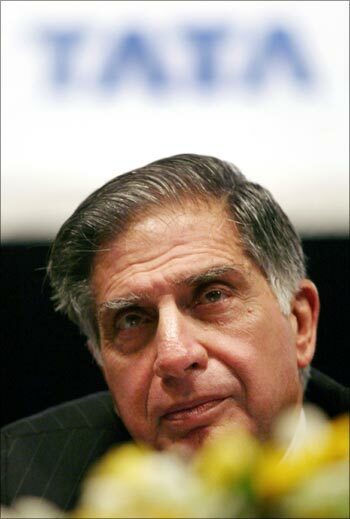 Image: Ratan Tata, chairman, Tata Group. "We position the two cars differently," says a Tata Motors dealer on condition of anonymity. "We don't try to sell one product to the other customer and vice-versa because both the customers come from a different set of beliefs and requirements." Still, it will be hard for the ordinary customer to not ignore the differentiation, and cannibilisation to a certain degree is inevitable, as has been seen in the case of the Dzire and SX4 sedans. For Tata Motors, the key challenge has been to improve its position in the market with its new products. Like the Vista, Tata Motors has made huge strides in terms of overall build quality for the Manza and has improved the overall finish of the product. By using proven and reliable engines from Fiat, Tata Motors hopes to banish the thoughts of poor performing products from the minds of consumers once and for all. Whether it succeeds or not is for the market to decide. 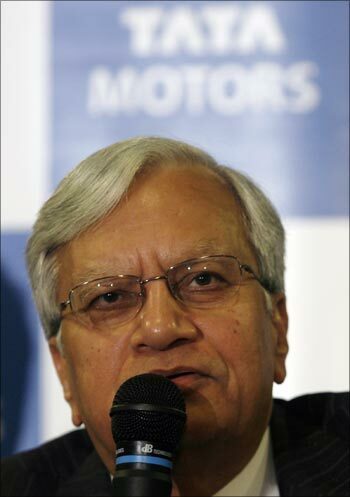 Image: Tata Motors vice chairman Ravi Kant. 51 things they won't tell you. . .